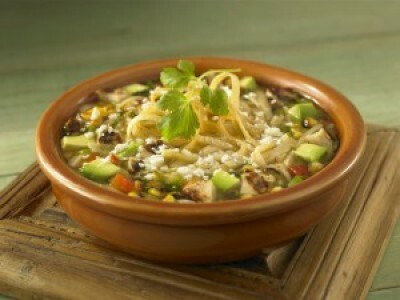 Chicken tortilla soup is a great comfort food to enjoy! Make a grilled cheese and dip into the soup. YUMMY! Set a large soup pot to medium heat. Once the pan is hot add in olive oil. Sauté onion and red pepper for 3 minutes. Until your onions become translucent. Then add in garlic, poblano pepper and jalapeño pepper. Let sauté for 2 minutes. Next add in green chilis, roasted tomatoes, corn, cumin, chili powder, garlic powder, salt and pepper.